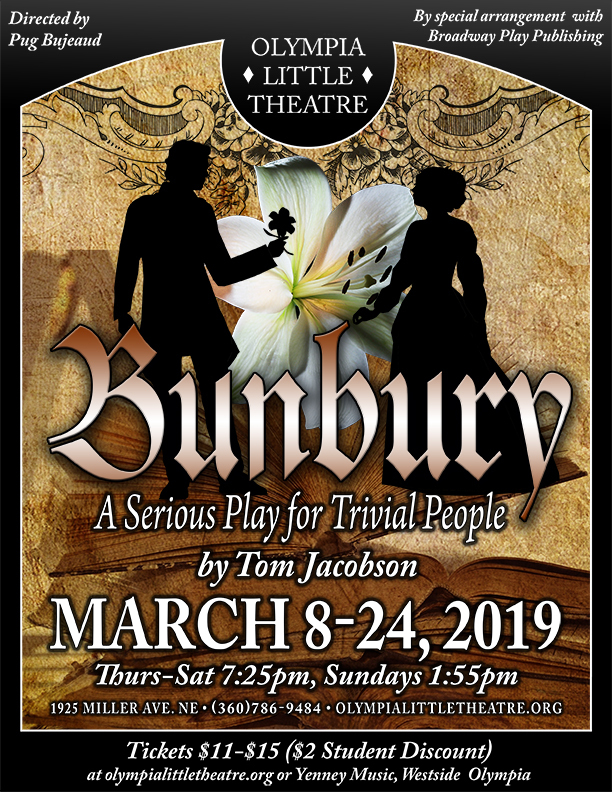 What happens when Bunbury (Algie’s “imaginary friend” from Oscar Wilde’s The Importance of Being Earnest) meets up with Rosaline (Romeo’s “off-scene” love before Juliet)? The resulting havoc to the classics of English literature is unimaginable and quite, quite funny. Imagine Poe’s Raven as a peacock saying, “Anytime” and Woolf’s John and Martha joining AA. If you love the classics and have a well developed sense of irony, you simply MUST see this play, darling!